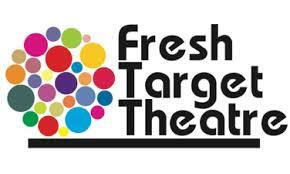 FRESH TARGET THEATRE is an award winning company that creates thrilling, energetic, and exciting theatre, putting as its priority the actor and his/her process. The company is committed in creating performances that are ‘alive’, having at their core a dynamic interchange between the actors, the space and the audience. In Fresh Target Theatre we aspire to create visually stunning as well as emotionally and intellectually stimulating theatre. The company was founded in March 2010 by actor/director Paris Erotokritou, executive director Yiannis Gavrielides and lawyer George Ioannou. Since its formation the company has worked with actors and artists from Greece, Cyprus and the United Kingdom in its various national and international productions, and has received an outrageously warm welcome from audiences and press alike. Fresh Target Theatre attracts audiences of all ages with work that reflects contemporary culture and relates to political as well as social issues. Another important aspect of the company is its international collaborations department that brings award winning theatre artists and companies from abroad to Greek and Cypriot audiences on a yearly basis. We are also keen on working with creative professionals coming from disciplines not traditionally associated with the theatre craft; we believe that such collaborations can push the boundaries of established theatre practice further and build bridges for new and exciting discoveries. As yet Fresh Target Theatre does not have a base in any single country; nevertheless it has presence in three and enjoys its freedom to move and discover, based on the needs of each individual production! Paris was born in Nicosia, Cyprus in 1979. He trained at RADA (MA Theatre Directing). He also trained as an actor at Athens Drama School (BA Acting) after graduating from the law school of King’s College London (LLB Law). He has worked as an actor and director in Greece, Cyprus and the UK. In 2010, together with Yiannis Gavrielides, he founded Fresh Target Theatre Ensemble. Previous directing and producing credits include The Lover (H. Pinter), New World Order 1&2 (H.Pinter), Employment Contract (M.Bartlett), Adolf/Churcill (P.Utton), Yerma (F.G Lorca, assistant director), Love and Money (D. Kelly). He also directed his first full-length play - A Slight Risk - selected for the Kypria International Festival 2012 in the context of the Cyprus European Union Presidency of the same year. Adaptation credits include Arnold Wesker's The Kitchen, Alfred Jarry's Ubu Roi and Yiannis Skarimbas' Jack's Master. Paris has also worked as a director in the Home Project UK 2013 at Theatre Royal Stratford East and as an Associate Radar Director at the Bush Theatre (London). He is currently working as an assistant director to Declan Donnellan for the 2014 remount of Cheek by Jowl's 'Tis Pity She's a Whore (2014 Barbican and UK/World tour). Yiannis was born in Nicosia, Cyprus in 1979. He studied Chemical Engineering at Imperial College and then worked in London as a business and strategy consultant and in Athens in the international business development division of a leading bank. Since 2012 he has been active in start-up ventures. Together with Paris Erotokritou he founded Fresh Target Theatre in Athens in 2010 and successfully raised private funds, allowing the company to produce The New World Order in the then newly opened Michael Cacoyiannis Foundation in Athens - a production in which he also worked as a producer. Since then he worked as a producer and an executive director in New World Order 2, Employment Contract, A Slight Risk and has overseen the management of the the company's international productions of Adolf in Nicosia/Athens, Churchill and Faulty Towers the Dining Experience. Yiannis is responsible for the strategic direction of the company, high-level decision-making, financial and project planning. He also has an active role in the programmming and planning of the company's productions. His creativity, analytical skills and business acumen are an invaluable asset in the running of Fresh Target Theatre Ensemble. George was born in Nicosia, Cyprus in 1979. He is a founding member of Fresh Target Theatre from 2010. He holds degrees in LLB Law (UCL), BSc Politics and International Relations (LSE) and he is a qualified Chartered Accountant. George is currently working as a lawyer in Nicosia. George oversaw the legal aspect of the company's formation. 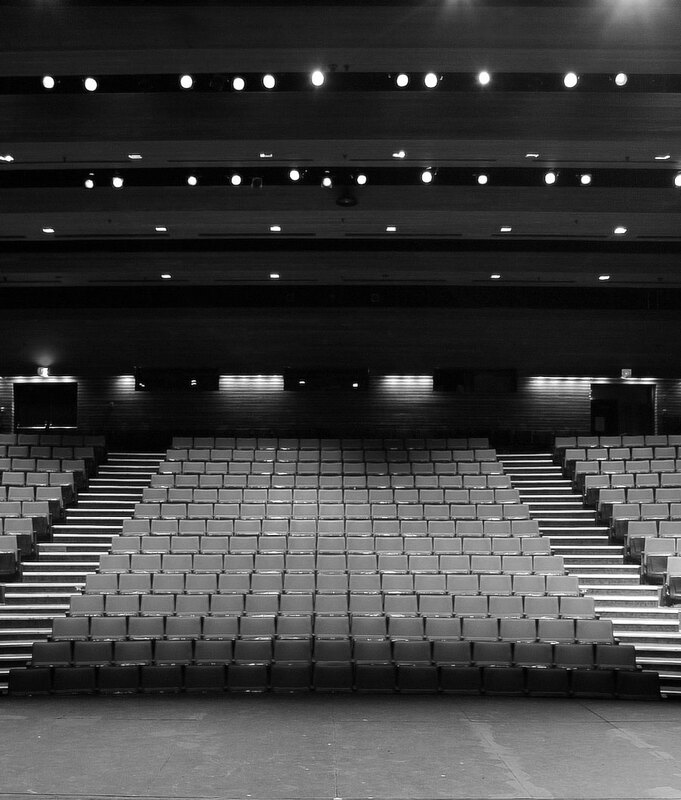 Since then he has contributed to Fresh Target Theatre's productions in Greece and Cyprus, being responsible for the drafting and reviewing of contracts with creative and technical stakeholders as well as concluding agreements with public authorities and corporate sponsors. He has worked both as producer and production manager in New World Order, New World Order 2, Employment Contract, A Slight Risk and in the international collaborations Adolf, Churchill and Fawlty Towers the Dining Experience. He also looks after budgets, cash flow and keeps the company's records. Eleni was born in Nicosia, Cyprus. She studied law and journalism and worked as an arts journalist in leading publishing houses. She has been editor in chief in numerous culture magazines and specialises in interviews with artists from all around the world. She has also been a member of the Cyprus National Theatre Awards Committee for children's theatre. Eleni is presently an associate of Greek magazines Lifo and DocTv.gr and a regular columnist in the sunday edition of Kathimerini newspaper. She has also been active with her own website (www.elenixenou.com) which includes a rich array of interviews and articles collected throughout Eleni's career as an arts journalist. In 2012 Eleni published a collection of short stories under the title PS: Born in April. In Fresh Target Theatre, Eleni is responsible with the press and marketing aspects of the company's productions. She has also worked as production co-ordinator in Slight Risk and Churchill. Translation credits include Adolf and Slight Risk. Nedie was born in Washington DC. She graduated with a BFA in Acting from Emerson College in Boston and starred in various theatre productions in the United States such as Richard III, Yerma and Adulto Orgasomo Escapes from the Zoo - the latter under the guidance of Nobelist Dario Fo. Upon her return to her native Cyprus she joined the cast of the Cyprus National Theatre starring in productions of Antigone, Faust, Trojan Women, Medea (Bost), 7 Richter, The Inspector General and more. Outside the Cyprus National Theatre, Nedie has has worked extensively in Cypriot theatre, TV and film productions. She first joined Fresh Target Theatre Ensemble as an actor in the production of The Lover and then worked in New World Order 2 and Employment Contract. She has also worked as an asssitant director in the company's production of A Slight Risk in the Kypria International Festival 2012.